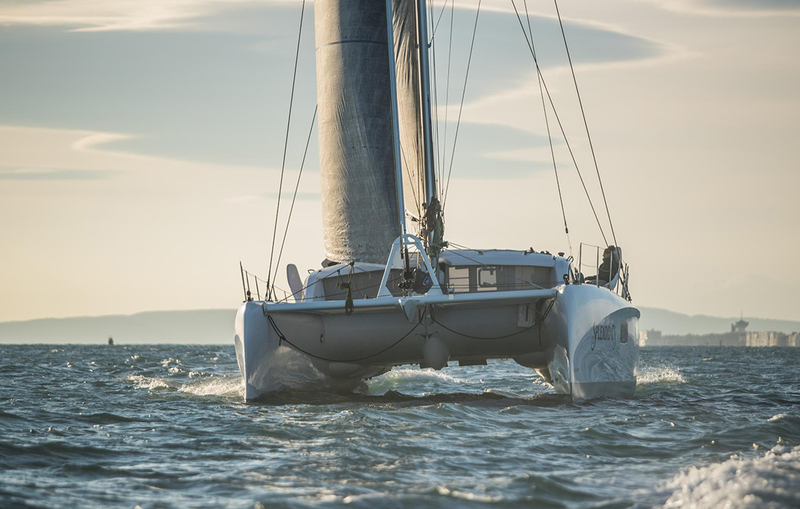 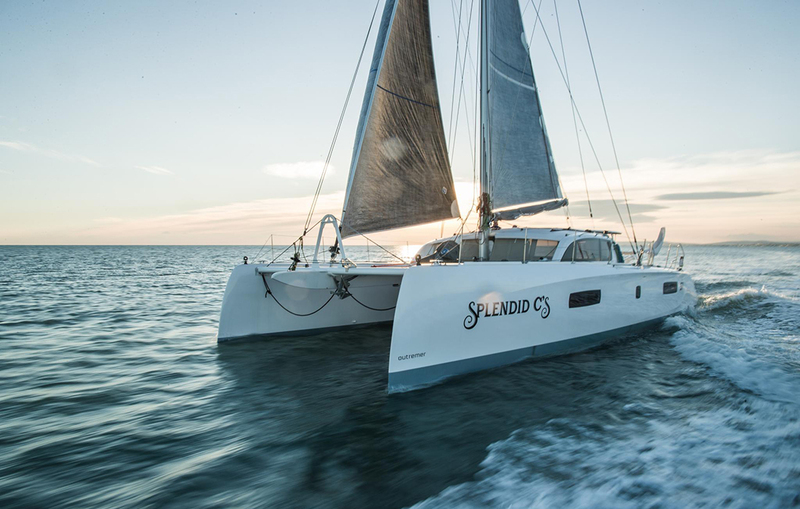 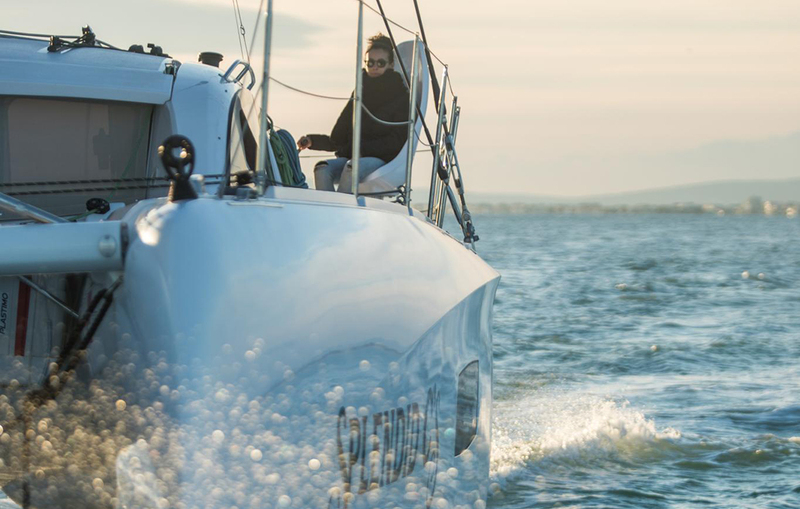 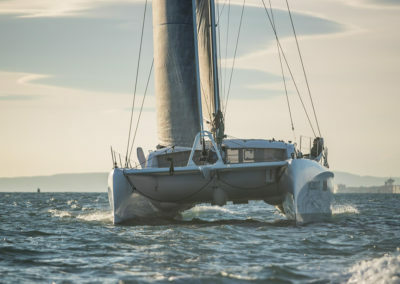 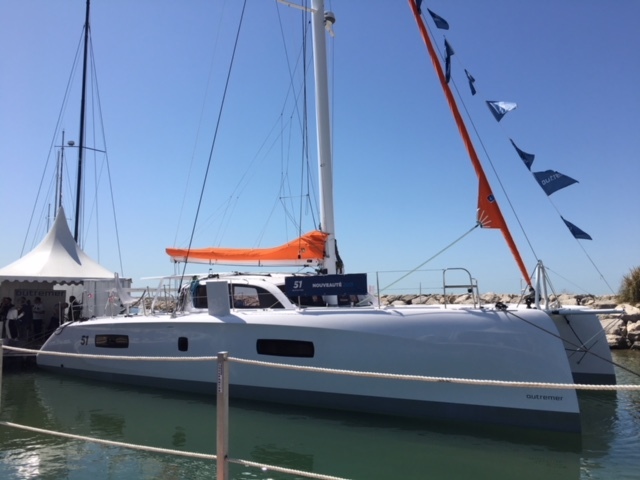 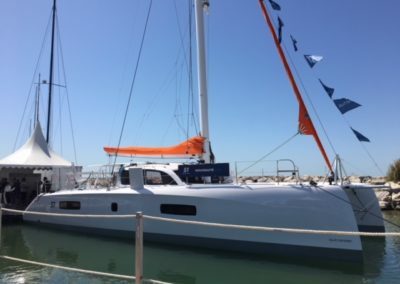 The new Outremer 51 was named Multihull of the year (2018) by Multihulls World. 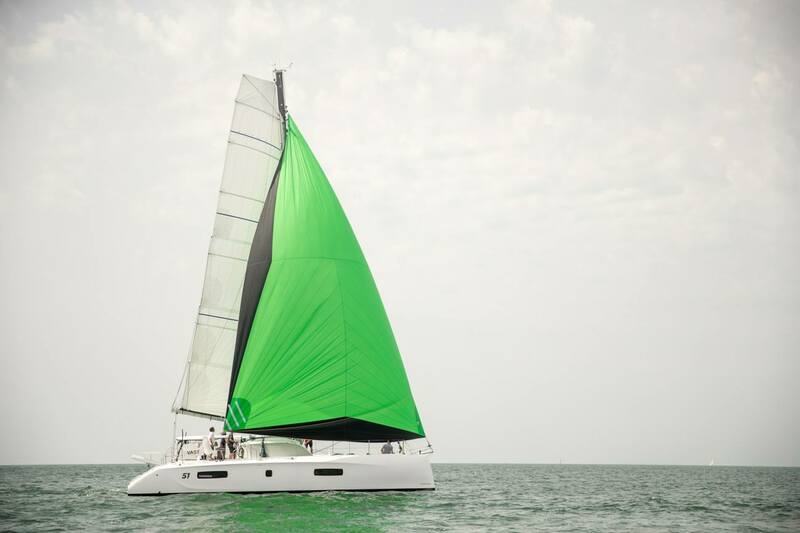 Launched in June 2013, the sleek “51” replaces its popular predecessor, the “49”. The Outremer 51 benefits from a number of features inspired by the Outremer 5X and feedback from the owners of the Outremer 49, who have been navigating the oceans of the globe. 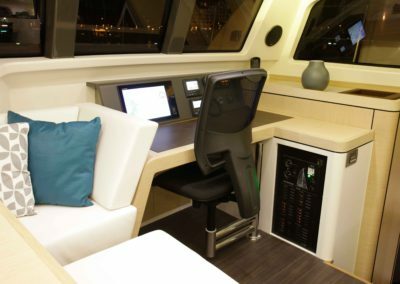 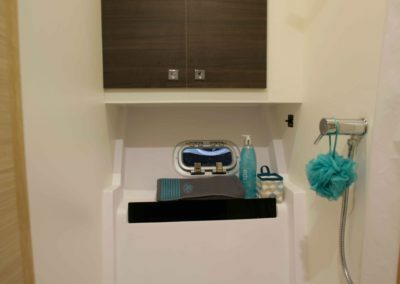 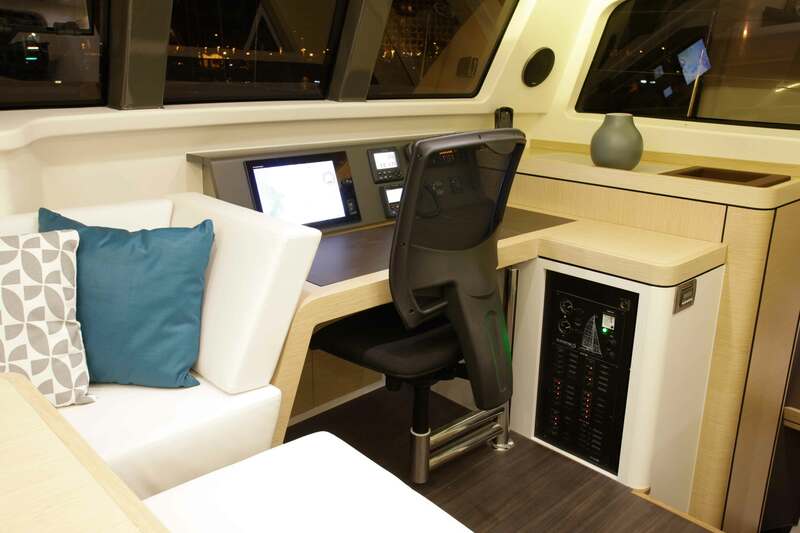 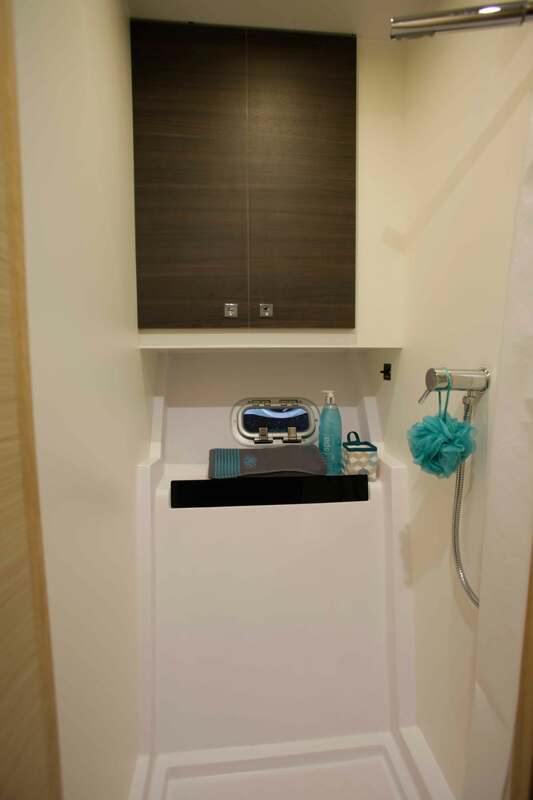 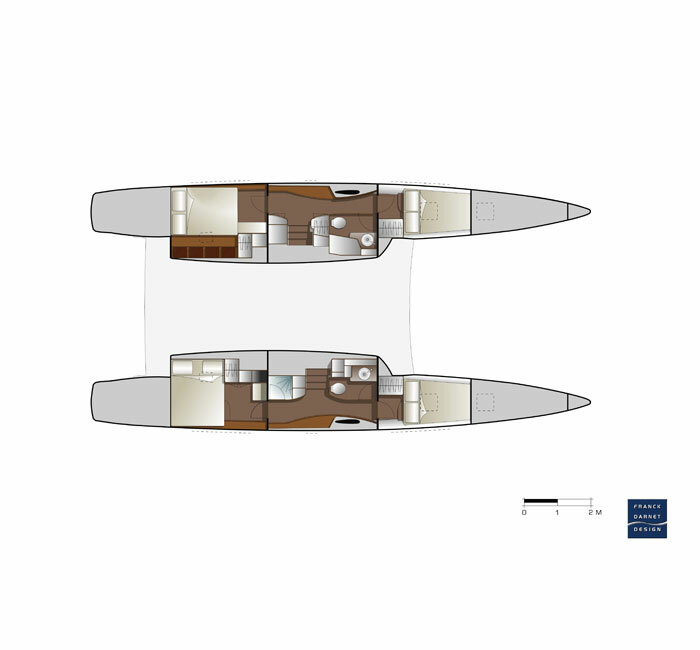 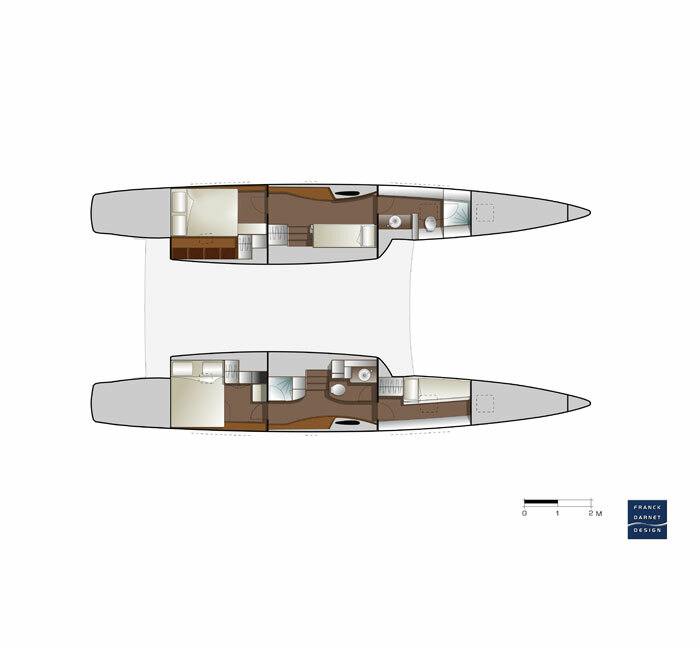 Everything on the new Outremer 51 has been designed for optimized space and comfort of life aboard, from the high storage volume, to the wrap-around vision in the salon and the views across the sea from the cabins. 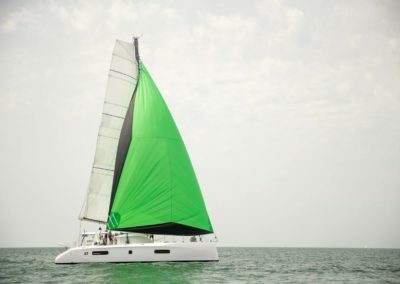 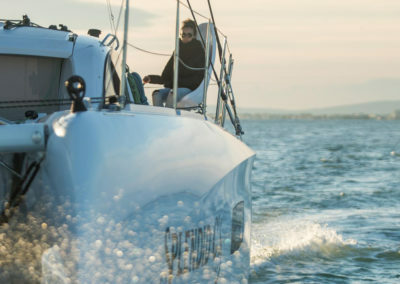 Performance: The feeling from her tillers, the ability to sail in light airs, and her peak speeds of over 20 knots will enable you to discover or rediscover the delight of sailing. 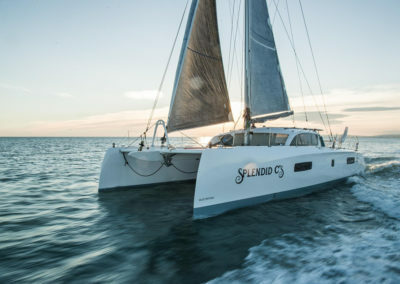 Simplicity: Designed to be sailed shorthanded, the Outremer 51 has been optimized for easy sailing and owner maintenance, making life a breeze aboard the boat. 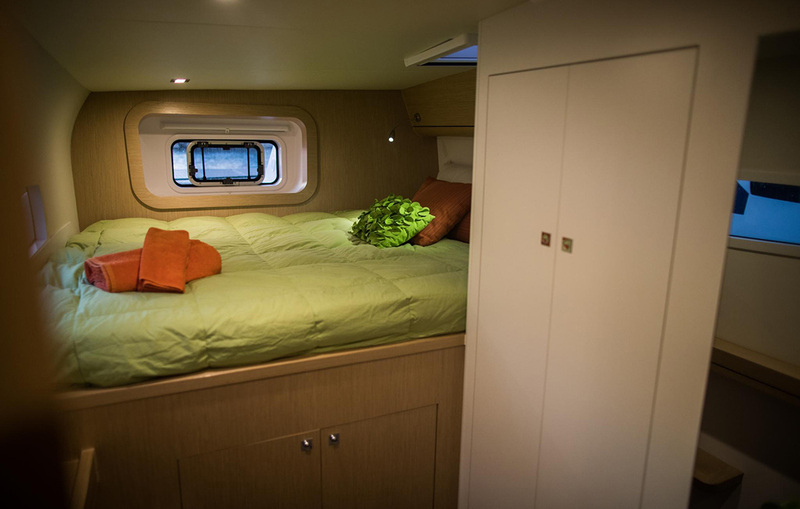 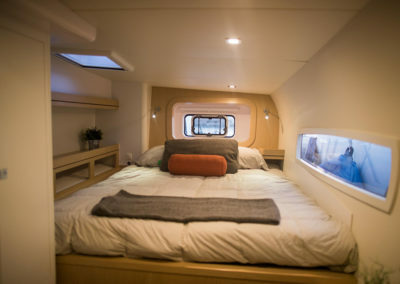 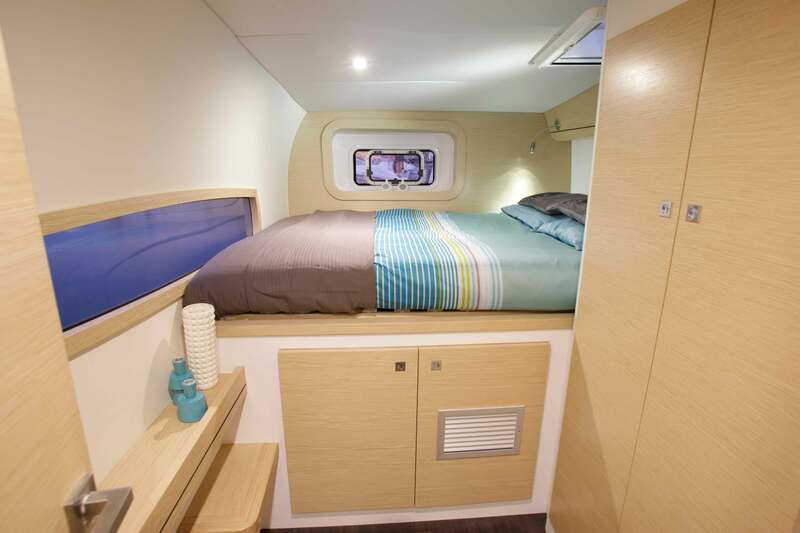 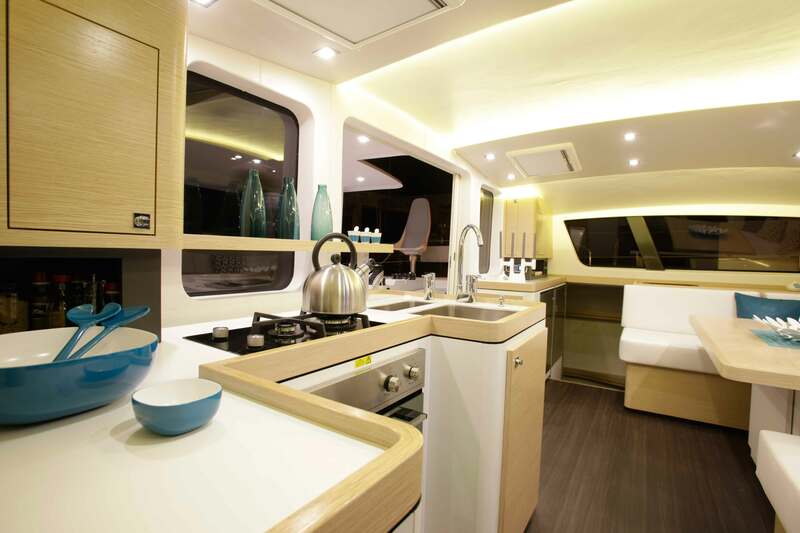 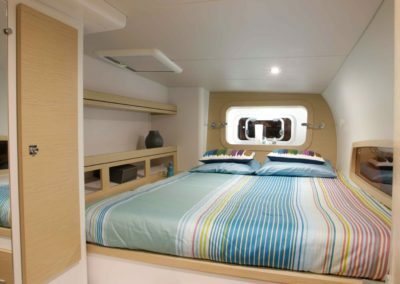 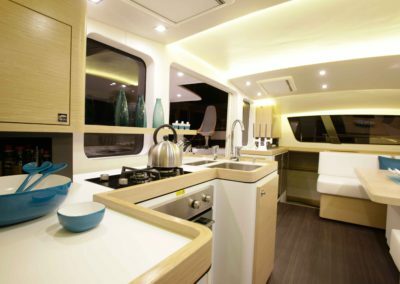 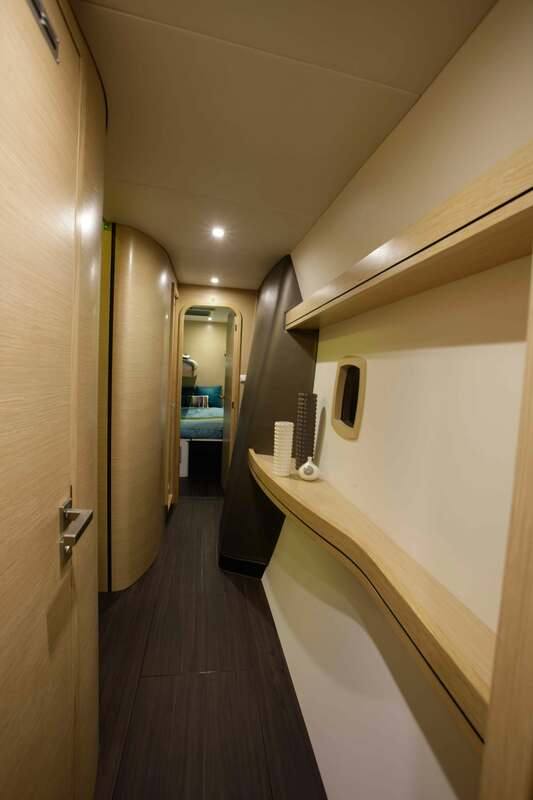 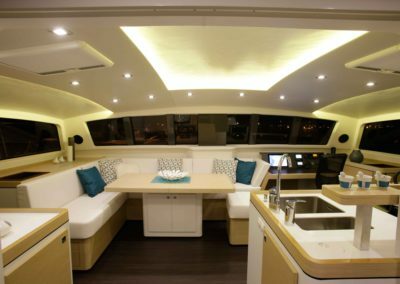 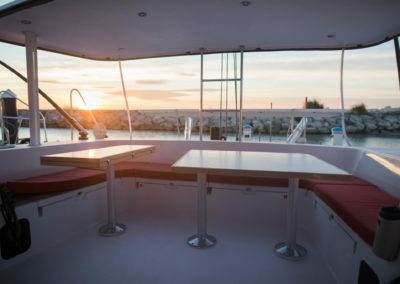 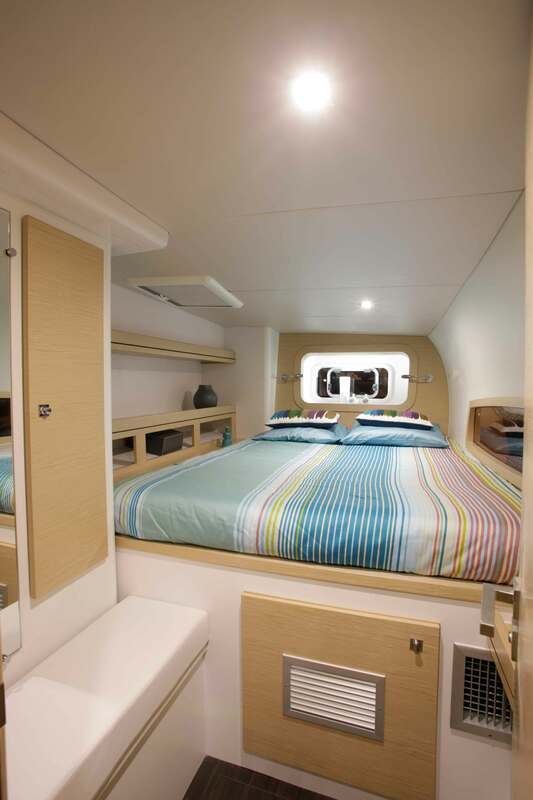 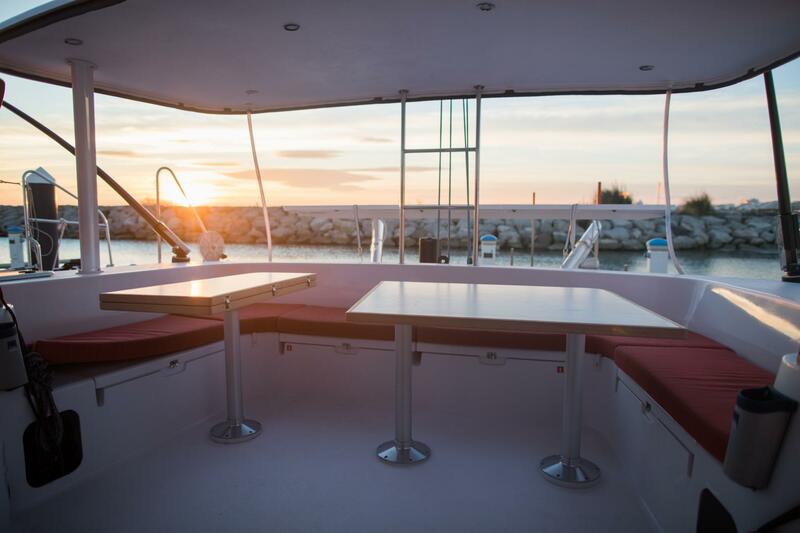 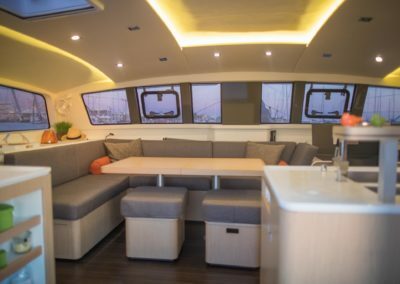 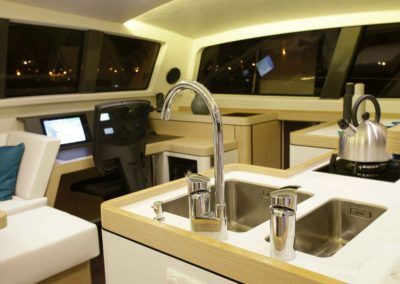 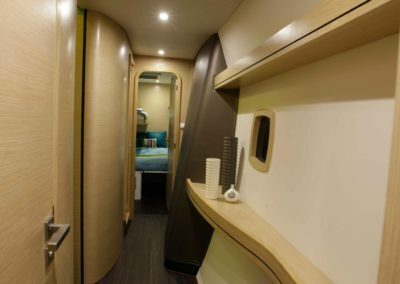 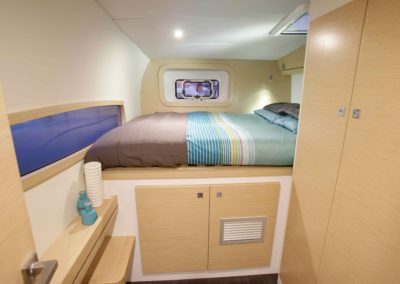 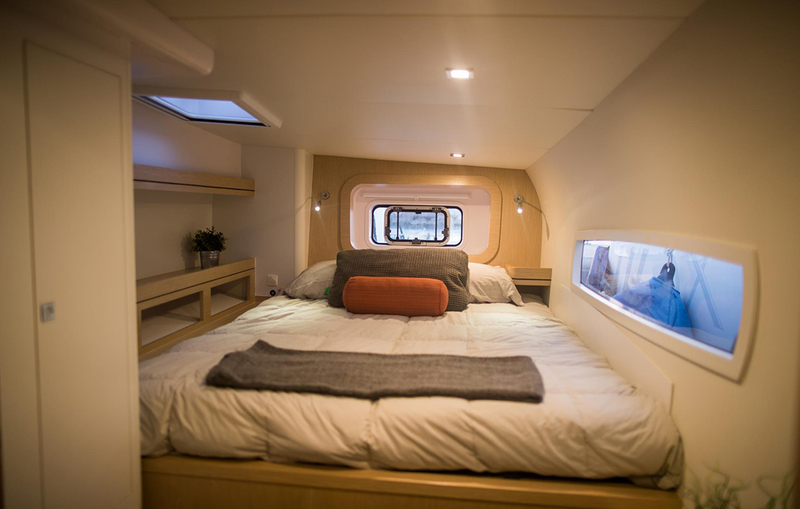 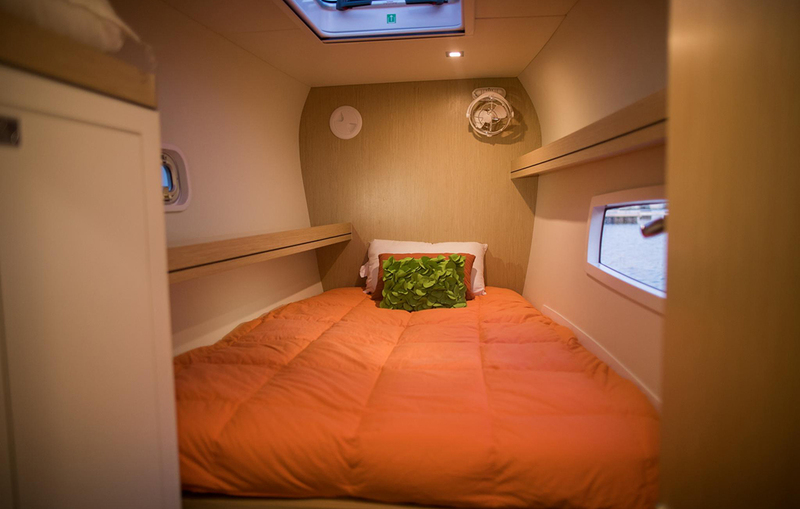 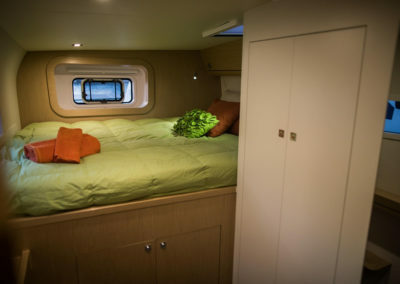 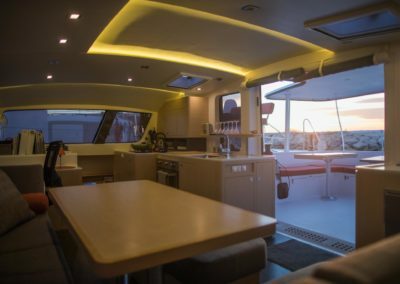 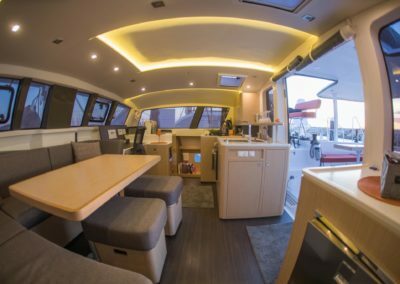 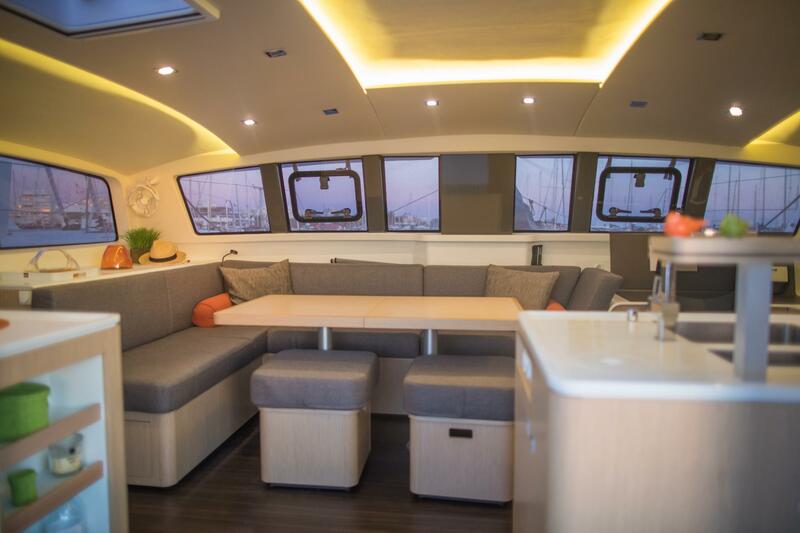 The interior design of the Outremer 51 is directly inspired by the flagship Outremer 5X, touting its own set of awards – 2013 European Boat of the Year and Cruising World’s 2014 Best Multihull of the Year. 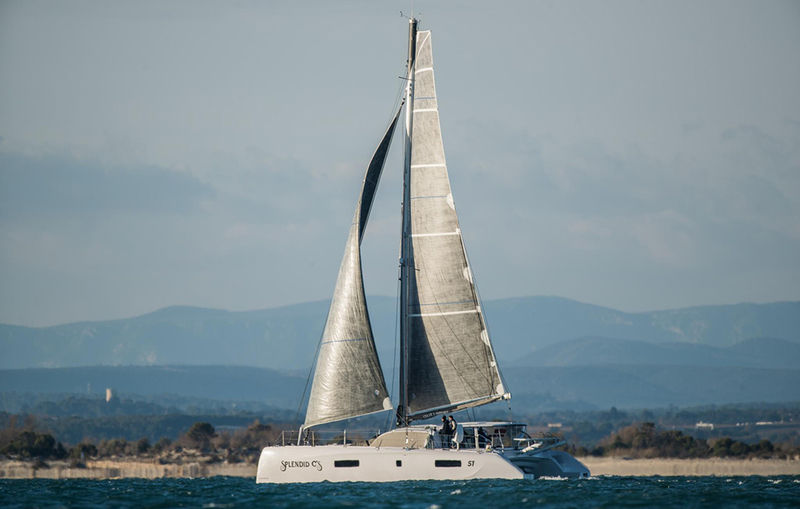 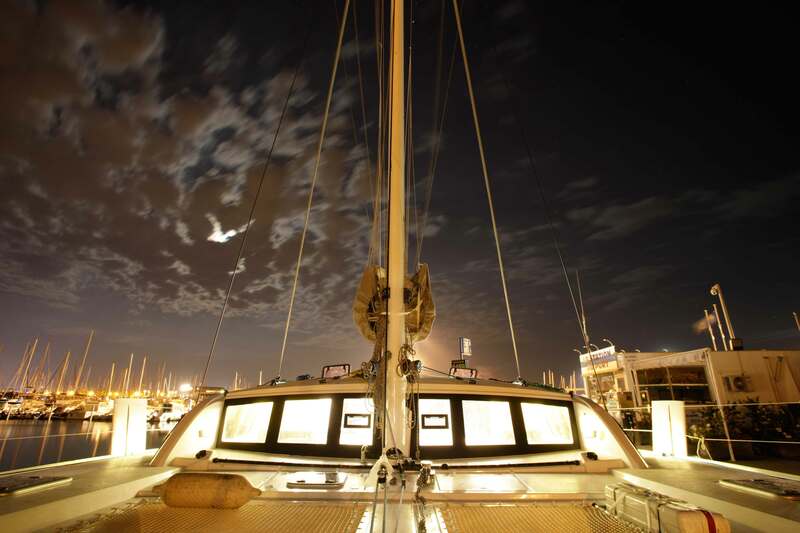 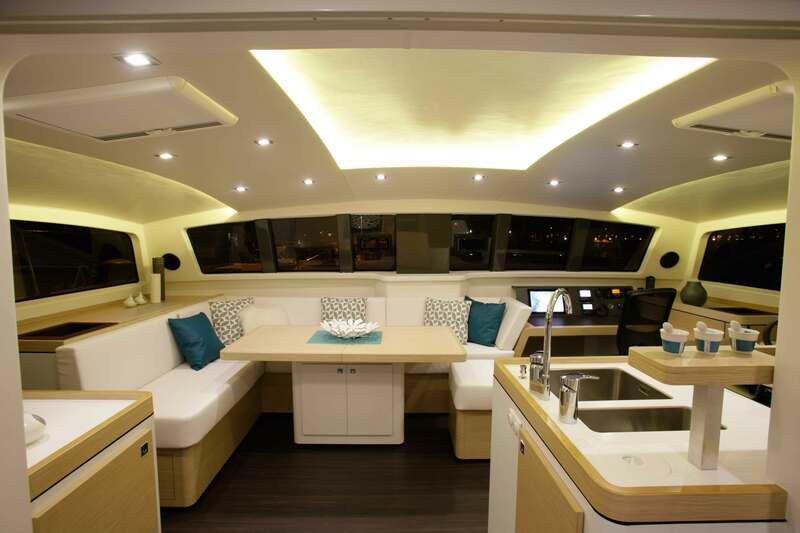 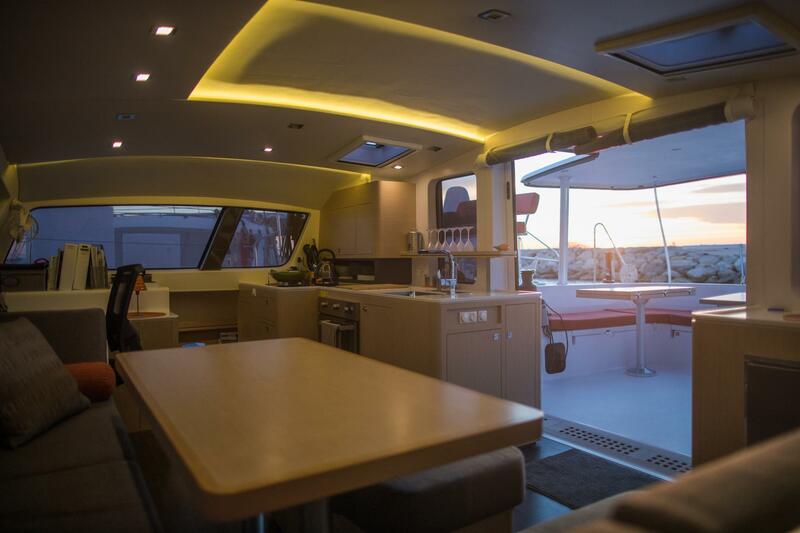 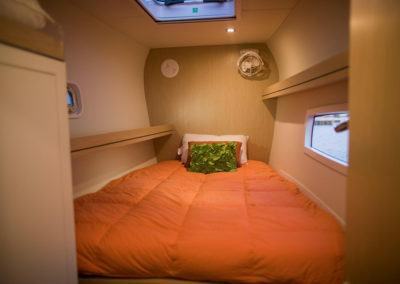 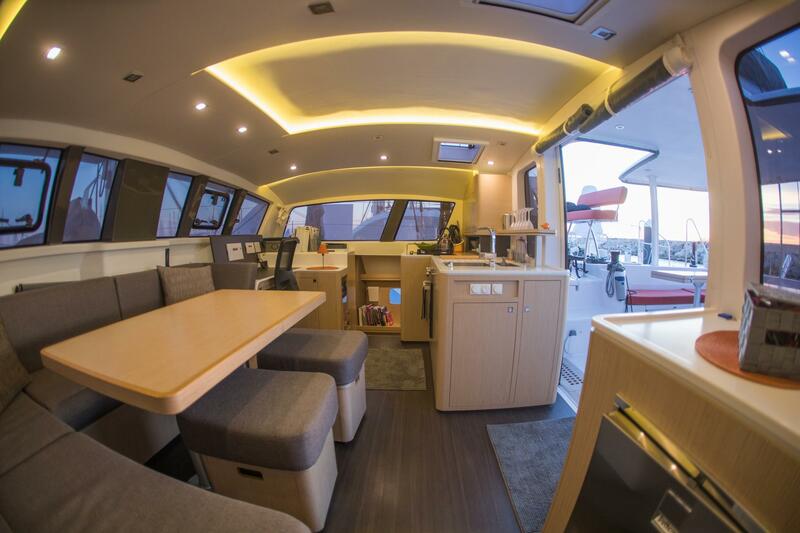 Just Catamarans is the exclusive Outremer catamarans in North America.